An LED sign can be a powerful communication tool for churches and other religious institutions. When used correctly, these signs can inform your members, increase attendance and help with community outreach. By enhancing the visibility of your church and delivering your message to the public, an LED sign is a valuable investment in your future. 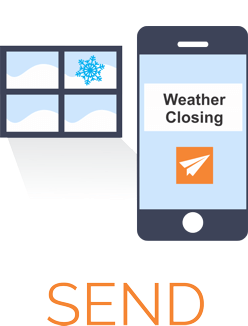 SignCommand is the first cloud-based LED sign software built with churches in mind. A simple yet powerful online editor allows you to craft an inspirational message from anywhere in the world, and then send that message directly to your sign. 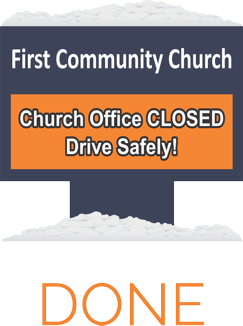 Your church can optionally give multiple users access to create, maintain and share sign content, making it easy to collaborate on powerful sign visuals. We provide a wide range of church-related graphics and animations to help get you started. Your own logos, symbols, graphics and animations will combine to form a truly eye-catching experience for everyone passing by. 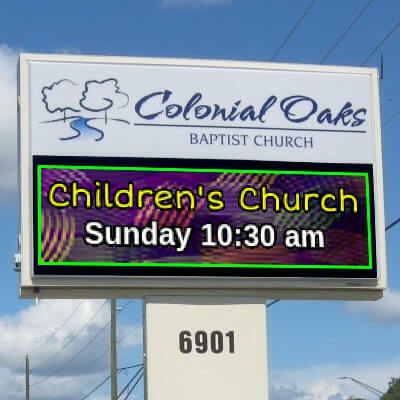 Why choose SignCommand for your LED church sign? Schedule your custom messages down to the minute and years in advance. Powerful scheduling options and easy-to-read results means that you will have timely and relevant content always showing on your church sign. 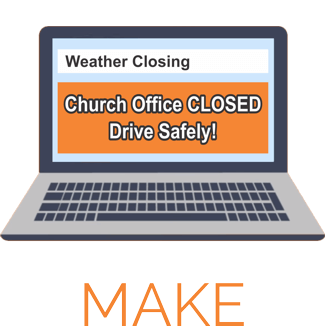 SignCommand makes it easy to update your church sign from any device. is now on your church sign. With an investment in LED technology, the messages you display will now have the power to be more effective than any other outreach you have. That said, not just any content will have the impact you’re after.